Zip code 95124 Cambrian Park area received 8% over the list price. Real estate is a local business. In fact, real estate is hyper local with Cambrian Park real estate. Cambrian Park is an established area within San Jose with much to offer buyers looking for a great p;lace to live. It is very important that buyers and sellers hire an agent who is an expert in the local real estate market and understands the market. A neighborhood specialist. 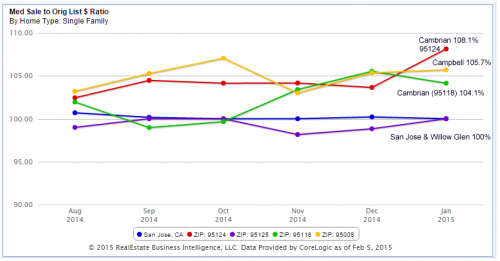 The graph indicates how much over the list price the homes in San Jose, Willow Glen, Cambrian 95118, Cambrian 95124, and Campbell sold for. Cambrian zip code 95124 got the most over the list price. The graph let’s us know that the Cambrian area (zip code 95124) receives the highest accepted offers and sales prices when compared to their original list price. For example, a home is listed on the market for $800,000. The original list price is $800,000. In Cambrian 95124 the $800,000 home sells for $864,00 or 108% of the original listed price. Cambrian 95124 is hot right now and the multiple offers continue to happen. This graph was data from CoreLogic. Fast forward and homes in Cambrian 95124 received 104% on average since November 2014 and this percentage jumped in January to 108%. This shows us that buyers are bidding up Cambrian Park real estate. I know and understand Cambrian and how the Cambrian area is broken up into sections. The area that I am very familiar with is south of the 85 freeway. This area is well known for having excellent schools and safe parks and streets. I mainly farm the area around Leigh High school, Noddin Elementary, Alta Vista Elementary, Carlton Elementary, Lietz Elementary, Oster Elementary, and Guadalupe Elementary are excellent schools. The middle schools are Dartmouth Middle and Union Middle, Both are standout schools. Leigh High School is an excellent high school with an awesome music program and great sports and academics. These Union schools are driving the home prices higher in the Cambrian 95124 area. 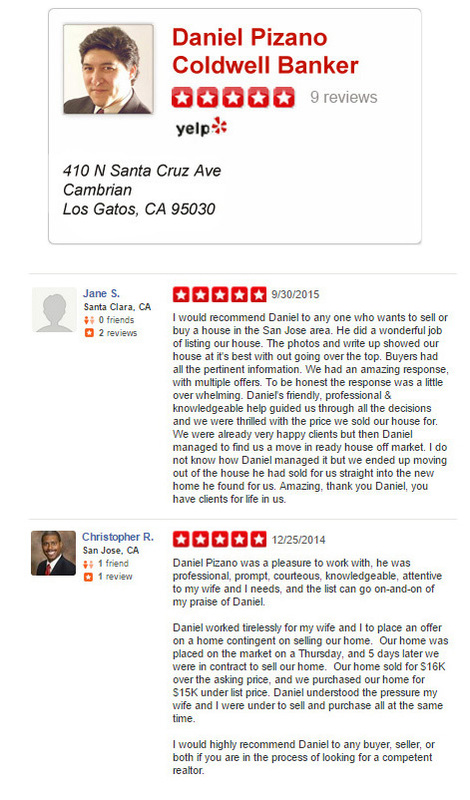 I highly recommend Dan Pizano to help you find your home. We couldn't have done it without him! Helping you find your dream home. Everything starts with a phone call. Call us at 408.460.8401. 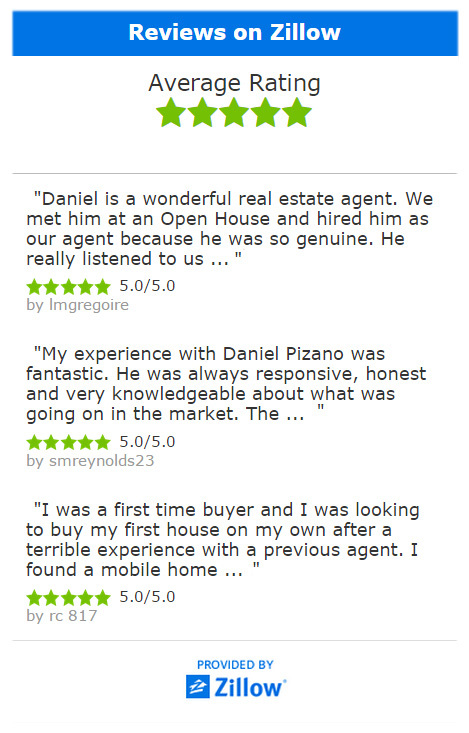 Daniel Pizano is a top producing real estate agent and broker associate with 10 years of real estate experience. Daniel is affiliated with Coldwell Banker Los Gatos which is a top producing office in Silicon Valley and the entire Bay Area. Real estate is a relationship business. You need a knowledgeable and hardworking broker who will negotiate the best deal for you. Daniel would love to meet with you and see how he can help you achieve your dream of owning your home or selling your home. Call Daniel today!